Mount Abu located in Rajasthan in India is a holy place associated with Hinduism and Jainism. As per Hindu scriptures, the story of the origin of Mount Abu is associated with the holy cow, Nandini, getting trapped in a gorge in the current location of the holy mountain. Legend has it that Sage Vasishta’s holy cow Nandini once fell into a deep gorge. The cow could not free itself. 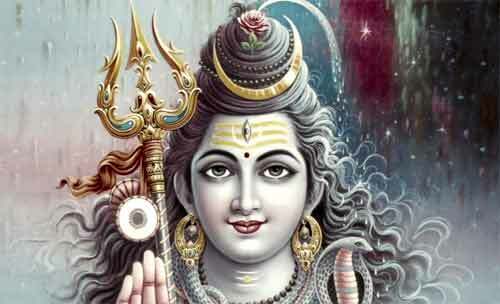 The sage then requested Lord Shiva to help. Shiva then directed Saraswati River to flood the gorge so that Nandini can float up. Once Nandini was saved, Sage Vasishta decided to permanently fill the gorge so that such mishaps do not happen in future. The sage then requested the youngest son of Himalaya, king of mountains, to fill the gorge permanently. The son of Himalaya took the help of a might snake named Arbud to fill the gorge. When they filled the gorge a mountain peak formed and the spot was called Mount Arbud. The name later changed to Mount Abu.